Home › Alberta › St. Albert › Plumbers Near Me in St. Albert › ADG KABAN SEWAR & DRAIN LTD.
ADG KABAN SEWAR & DRAIN LTD.
About ADG KABAN SEWAR & DRAIN LTD.
My name is Troy Kaban and I am the owner of ADG Kaban Sewer & Drain Ltd. If there is one thing my family knows, its plumbing. I am a third generation Master Plumber and Master Gasfitter. 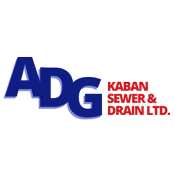 Give to ADG KABAN SEWAR & DRAIN LTD.
You will receive updates from ADG KABAN SEWAR & DRAIN LTD.